Tackle those pesky spring showers and protect your clothing and finished beauty regime with a stylishly practical cover-up from Cornwall based brand Seasalt. With 32 years of unpredictable Cornish weather under their belt it`s safe to say they`re weather experts! 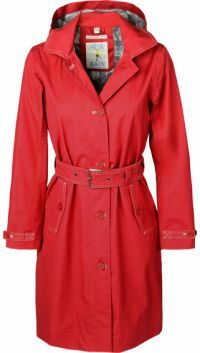 There is a lovely collection of on-trend coats and jackets available which are waterproof, windproof and breathable making them key investments for the rest of the season and year. Seasalt have even developed their own special oilskin Tin Cloth which has been combined with organic cotton linings making the pieces comfortable too. 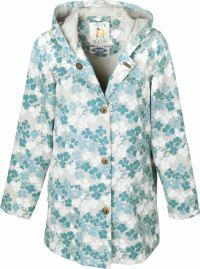 The rainwear comes in fun bright colours as well as a pretty pale floral design to add a bit of joy to dull days. This keeps the items interesting so if you think of waterproof attire as samey and non-fashionable then your mind will be swiftly changed once you visit Seasalt`s online store. 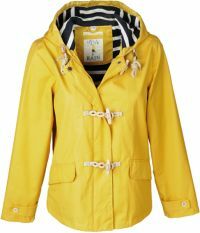 Styles include the Seafolly Jacket which was inspired by a traditional fisherman`s mac and given a nautical twist with its soft stripey lining, the Original Raincoat which is Seasalt`s take on a classic mac and the Seaside Mac that has a flattering fit and comes in cheerful unique prints. They are all perfect for unexpected patches of rain. The brand also specialises in other rainy day wear including wellies and a variety of practical accessories that will keep you warm and dry. You`ll no longer dread braving the typical British weather but will instead be eager to take your new rainwear for a test run!